2:54 & Honeyblood – The Hideout – San Diego – Tonight! GoINDEEpMusic will be out at The Hide Out in San Diego tonight for an evening of elegant dream pop with the London based band 2:54. The band is comprised of the Thurlow sisters, Colette and Hannah, along with Joel Porter (not to be confused with former Steelers linebacker Joey Porter) and Alex Robins. 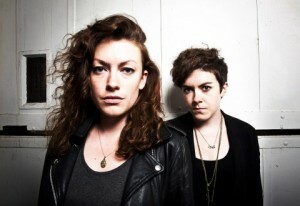 The ladies formed the band in 2010 after splitting from the punk band The Vulgarians. 2:54 takes their name from the precise moment in The Melvins tune “A History Of Bad Men” when as Colette describes “the bass line turns doomy, and dreamy.” Ms. & Ms. Thurlow dropped their self-titled debut back in 2012, and have since followed it up with the 2014 release The Other I. 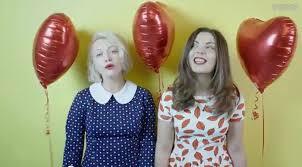 If that not fun enough, the Glasgow, Scotland lo-fi band Honeyblood will open the festivities tonight. These ladies dropped their first studio album last summer, and have since put themselves in the category of a band on the come. If you dig Vivian Girls or Best Coast I suggest not missing their opening slot. Tickets are still available for the show for a measly 14 bucks. Get them here.